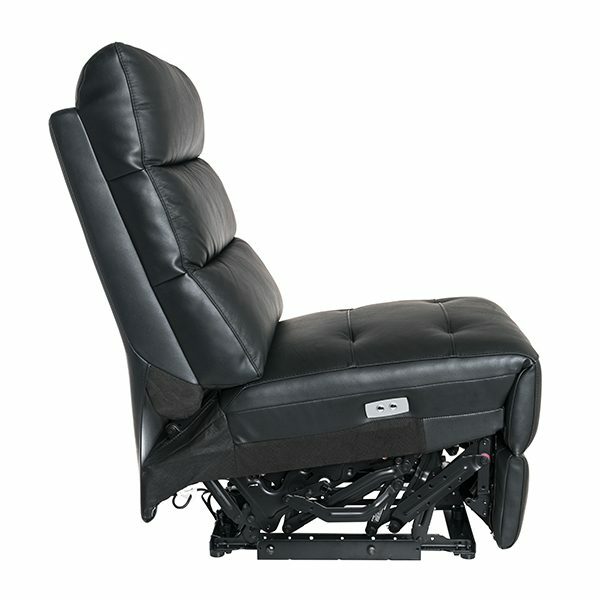 The Palladio Firenze Powered Armless Seat is beautifully crafted in finely stitched, high quality black leather, Palladio’s Firenze powerful and super quiet motorised design allows the user to control the seat steadily and securely. The back and foot supports are synchronised to cradle you to the most comfortable position. Inlaid controls glide the seat to your perfect viewing angle and integrated stainless steel cup holders ensures that refreshment is always within reach. 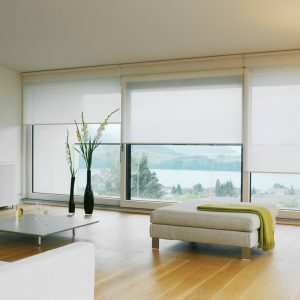 Palladio have applied the finishing touches that guarantee you return from the edge of your seat in perfect comfort. 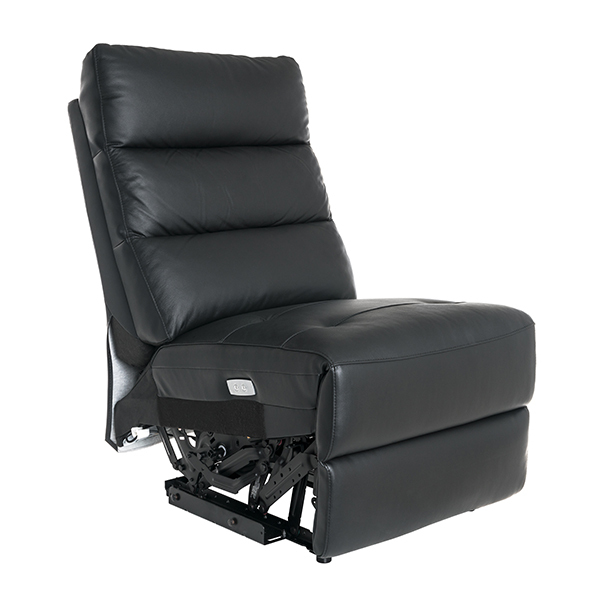 This WallAway Recliner allows close to wall positioning (Only 8cm away from wall). 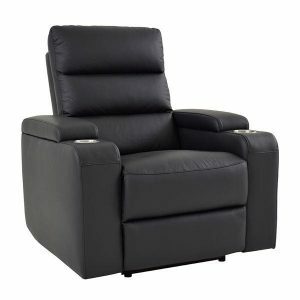 Beautiful, comfortable recliner with luxurious leather. 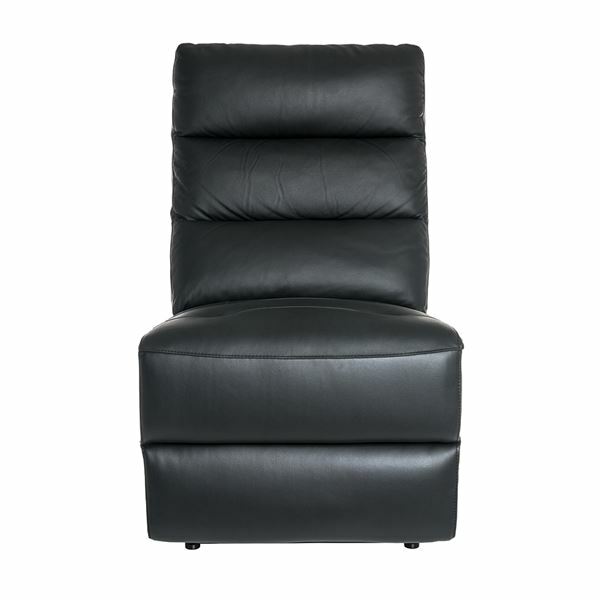 WallAway Recliner allows close to wall positioning (8cm away from wall). “Zero Wall” reclining mechanism (UL Approved). Fingertip control from inlaid panel. 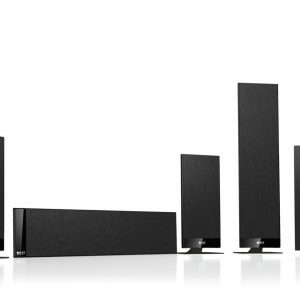 Dual spring system which is pocketed coil with no-sag spring.